Hey babes! 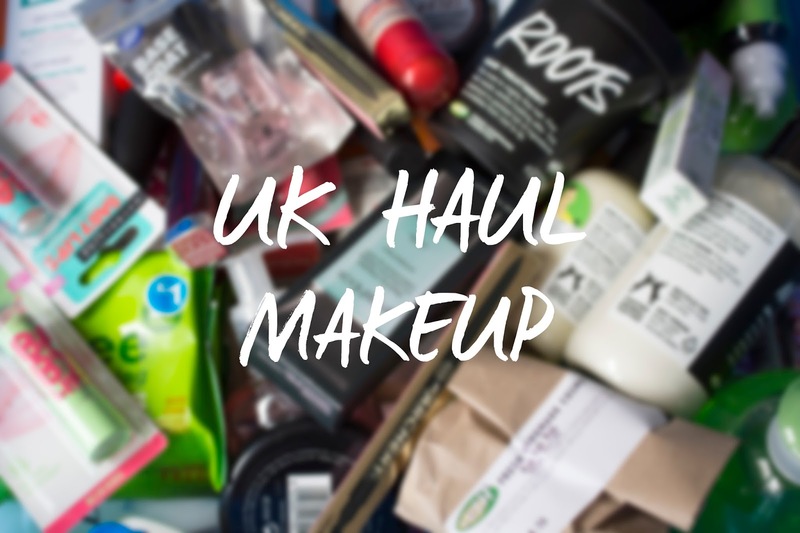 I went to the UK for two weeks and I want completely crazy in the shops, I have a lot to show you so I've divided it into categories, I'll start out with my makeup buys! I didn't go too crazy with makeup, I mostly bought skin and haircare but I did find some things I'd been looking for and also some really cheap things at a local factory store. The first thing I came across were babylips I hadn't seen in Belgium yet! I love these lipbalms and I already had a lot but I think I'll stop collecting them now before it gets too crazy! I purchased Peach Punch, Melon Mania & Candy kiss! Because my skin has been a lot more dry lately I needed a new foundation because my Urban Decay Naked foundation was clinging to my dry spots. Everyone was recommending me this Healthy Mix Serum Foundation by Bourjois but I couldn't find it anywhere in my shade and I finally did now! I really didn't need this but since I love my other Smashbox primer so much I decided to get this hydrating one! I picked up this Maybelline lipstick in 553 - Glamourous Red at a factory store in the town I was staying at and it was only 3 pounds if I remember right! 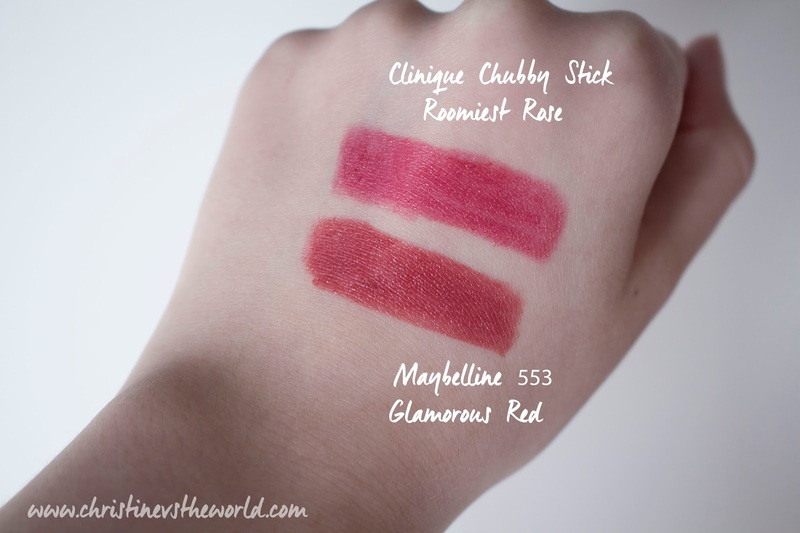 I also bought this Clinique Chubby Stick in Roomiest Rose because I've heard many people rave about these and I do love it! I keep it in my purse if I want to spice up my makeup look with a little pop of colour and it applies super easy and still hydrates a little. I picked up two shades of the Archery brow filling pencil by Soap & Glory because it's supposed to be an Anastasia dupe so I'm excited to see if it is! I picked up these two colours because one is closer to my real brow colour and the other is more like the colour they are when I get them tinted and waxed. I also decided to get this blush and bronzer for summer because they are quite bright and shimmery and I want to see if they are a dupe for anything I have! Then I bought a base coat from Boots just because I forgot to bring one and wanted to paint my nails but I also found these OPI polishes at that factory for only 4 pounds!! That's it for part 1 of my UK haul! Did you splurge on anything this easter holiday? Chubby stick! En hoe mooi is die blush brick!